Description: Leatherbound hardback book published by Cassell and Company (London, UK) in 1885. 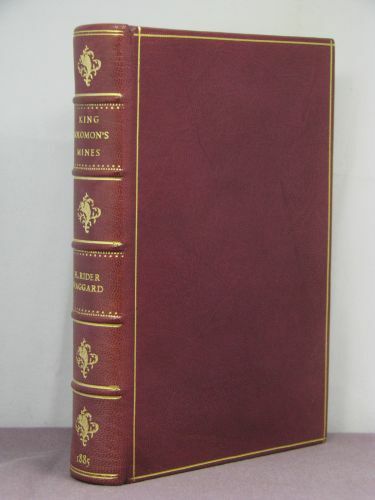 Bound in real red leather with gold lettering and decoration. Hubbed spine and marbled endpapers. Originally published in cloth binding, this copy was rebound in the UK in full leather with five spine hubs and stamped with gold lettering and decorations. Contains all the points for a first printing of the UK first edition – with ‘Bamamgwato’ for ‘Bamangwato’ on page 10, line 14; ‘to let twins to live’ for ‘to let twins live’ on page 122, line 27; and ‘wrod’ instead of ‘word’ on page 307, line 29. There were three states of the first printing as all copies were not bound immediately after printing, state is determined by the date of the advertising pages for other books that got bound in, they omitted the advertising pages when this book was rebound, so we cannot determine what state the original book was but it is from the first printing as the textual errors were corrected for the second printing. The original front and back cloth covering have been added into the back of the book. Letter from Haggard to C. Kinloch-Cooke, Esq. 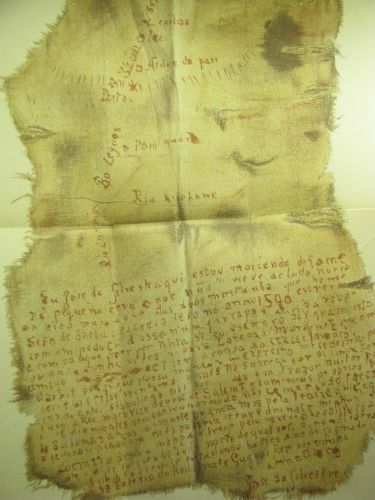 hand written by Haggard’s secretary and signed by Haggard laid in. 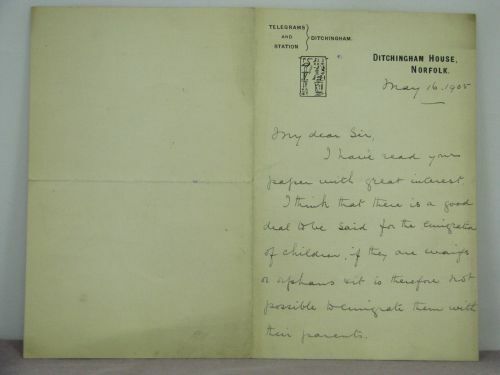 The text of the letter reads ‘May 16, 1905 My Dear Sir, I have read your paper with great interest. I think that there is a good deal to be said for the emigration of children if they are waifs or orphans & it is therefore not possible to emigrate them with their parents. It is however to the latter problem that I am devoting my self at present. As you will see when my report appears. Meanwhile I fear it is not possible for me to write anything upon the matter, & indeed if it were, after my absence abroad, I have no time. – Thanking you very much for sending me your article. 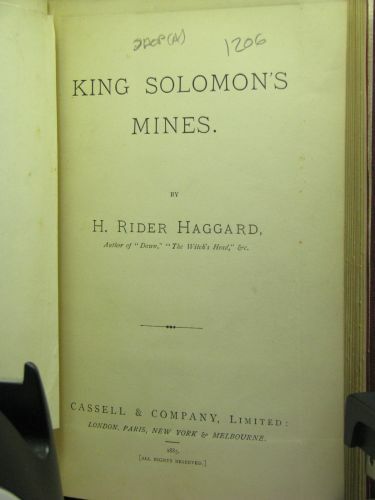 Believe me Very truly yours H Rider Haggard‘. The letter is on the author’s stationary giving the name and location of his house and what station and telegraph location it is close to, along with a hieroglyphic cartouche. C. Kinloch-Cooke would have been Clement Kinloch-Cooke, at the time a journalist who would later become a member of parliament.